Want to make your office a showcase for all your company stands for? Office branding can be a great way to do so. Quite simply, it’s the art of shaping an office space into one that reflects your company. It doesn’t just have to be a case of painting the office in company colors and sticking your logo up about the place (although of course this would be a great start). It’s a process that takes in everything that might have an effect on your office environment and what that says about your company. For example, the process includes big decisions such as whether you go with cubicles, partitions or make your office completely open. You’ll also have to consider more personal touches; these are things such as breakout areas, color schemes, artwork and even the little touches like adding creative blackboard walls. All of these features can build to create a space that is uniquely yours. Why would I want to consider office branding? Firstly, it’s a great way to encourage employees to live and breathe your company. Furthermore, working in a unique, dynamic space could have real boosts to productivity. Who really works best in a plain, boring office? It could also boost the image your company gives potential clients and customers. Branding your office is a way to show you really know your brand and are intensely proud of it; a message that can resonate with those you seek to impress. How do I go about office branding? Going solo vs. getting help: Getting a company to design and fit out a new office saves time. But, who knows more about what you want from an office than your own staff? They are often the best people to execute an office rebrand. Open plan vs. partitioned: Do you go for the often more collaborative open-plan office or an insular but potentially more productive partitioned or cubicled layout? Ask what sets you apart: Think about what sets your business or your office apart and try and reflect this in the design process. When we designed the new Genie offices we took inspiration from many things, but particularly our new riverside location which inspired this mural. 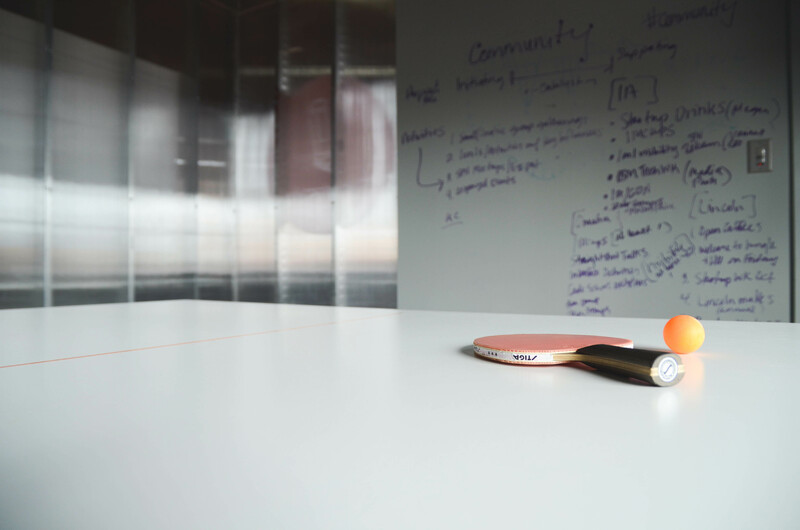 Final flourishes: Don’t forget those little things that can add a lot of personality; table football tables, whiteboards and blackboards, funky chairs, or a television screen displaying employees’ (work-related) tweets – whatever you fancy really! Of course, there are things you can do to make a difference to an office environment without having to spend much time or money: For example, why not bring in a clear desk policy? Encouraging employees to clear their desks every day can be a great way to make your office seem a more organized, cleaner place. You could also try adding a little greenery; a few plants can brighten up an office. Just don’t go overboard and end up with a greenhouse! It doesn’t matter whether you do a little or go the whole hog (or just have a short think); it’s just great to consider what exactly an office says about a company. Have you shaped your office space to reflect your company’s ideals? Tell us how in the comments! 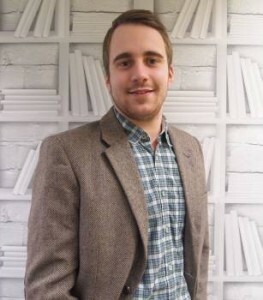 About the Author: Peter Ames writes for Office Genie; a UK-based site where you can search for the office that’s right for you.